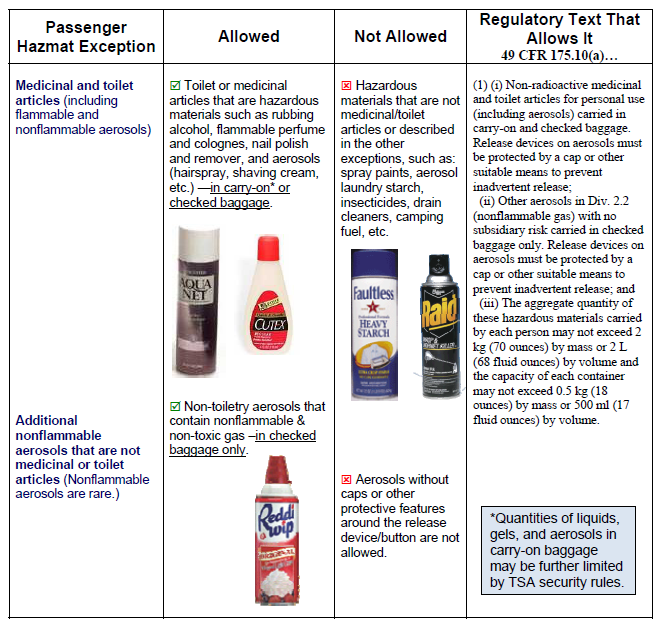 In general, US Department of Transportation (DOT) regulations prohibit passengers and crewmembers from carrying hazardous materials (dangerous goods) aboard commercial aircraft. 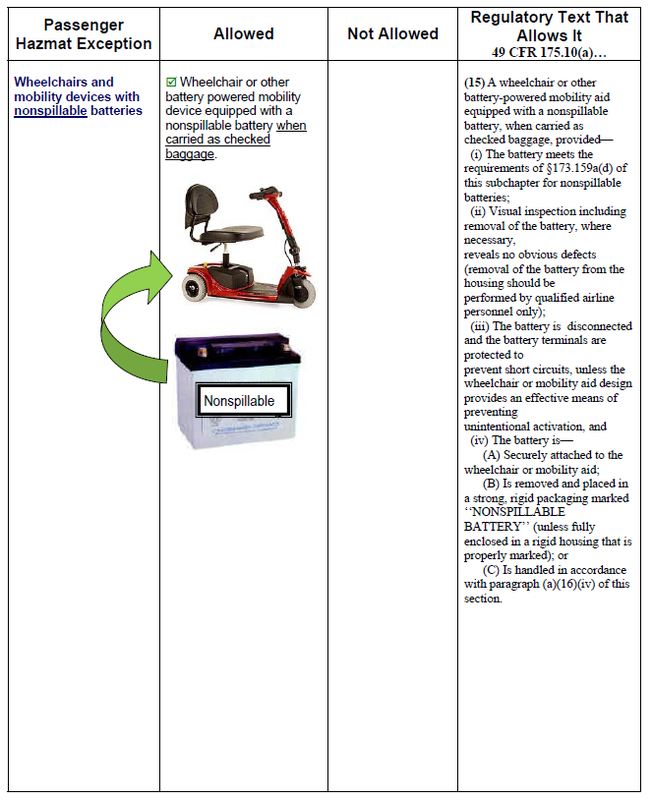 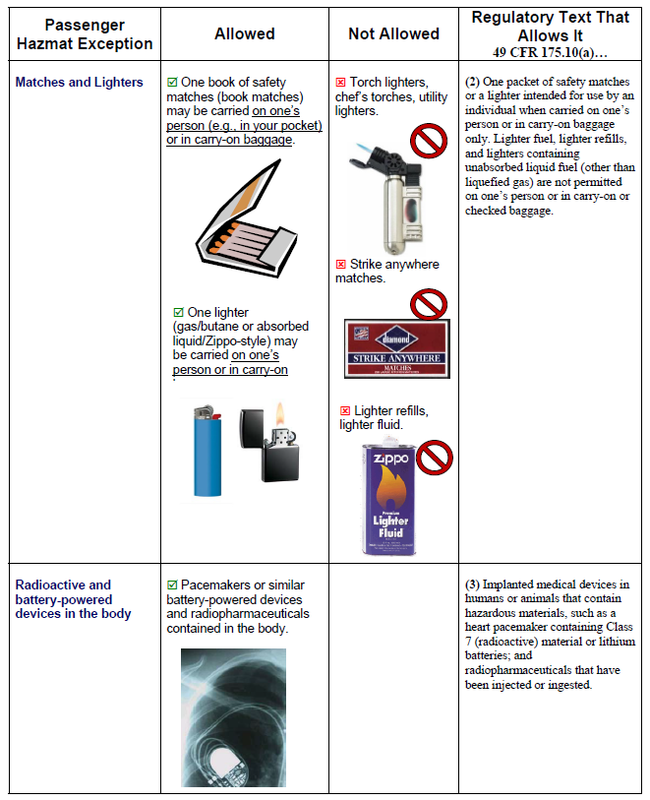 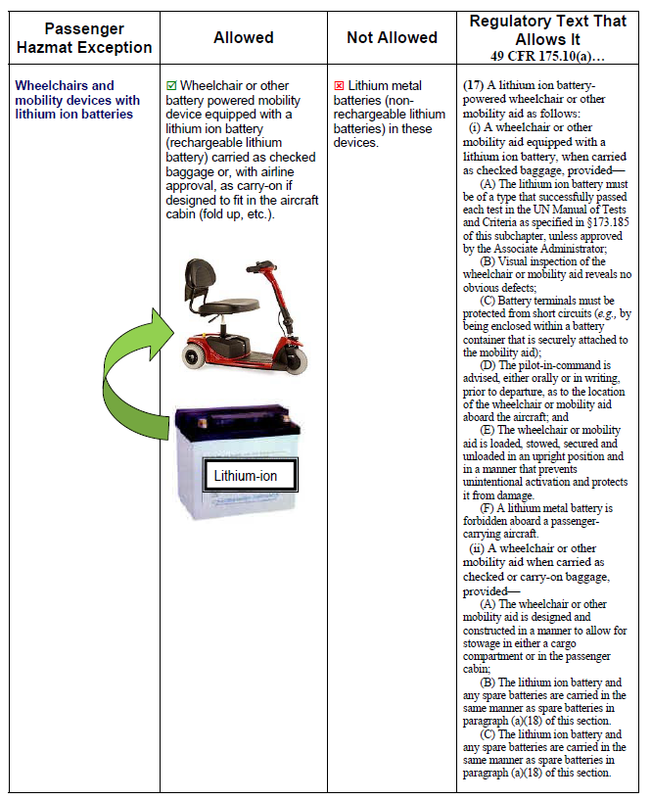 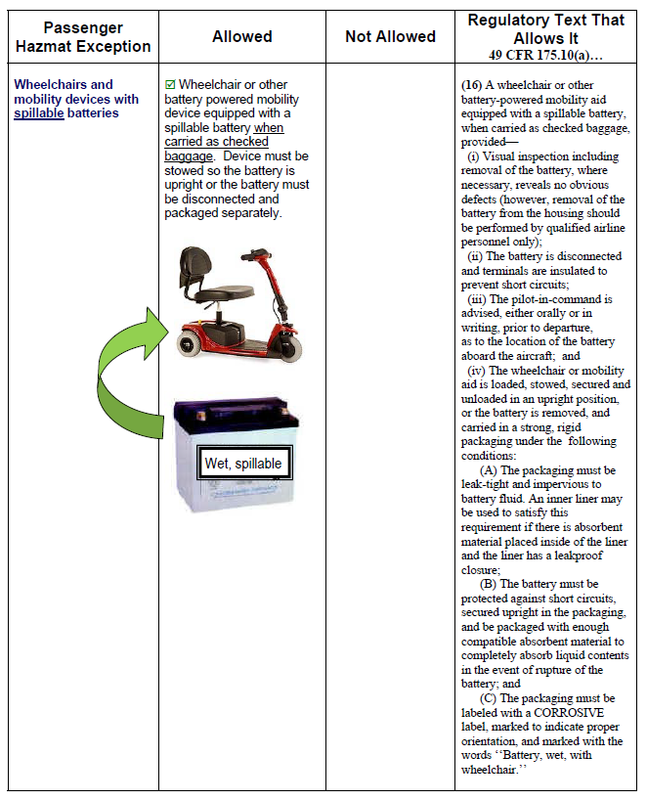 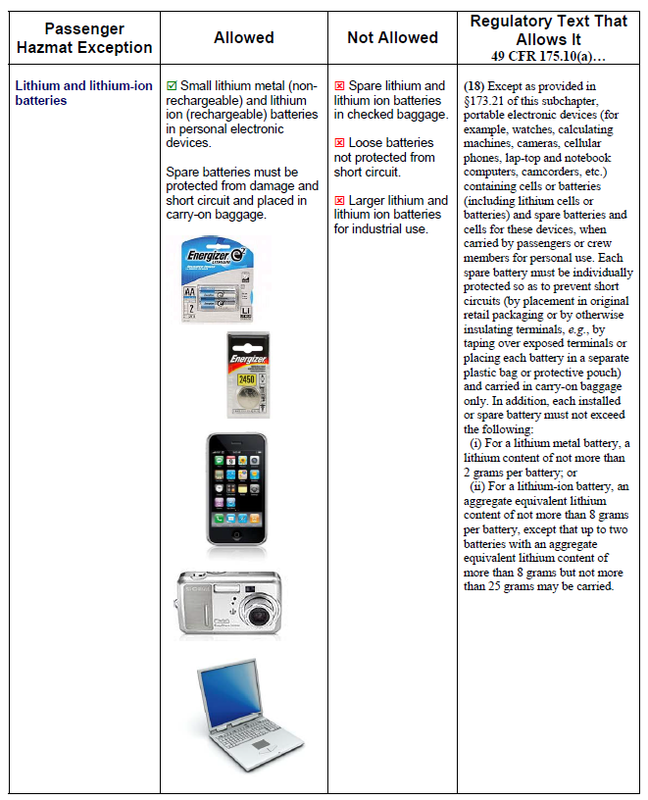 The table below lists the exceptions that allow passengers and crewmembers to carry a limited amount of personal-use hazardous materials in carry-on and/or checked baggage. 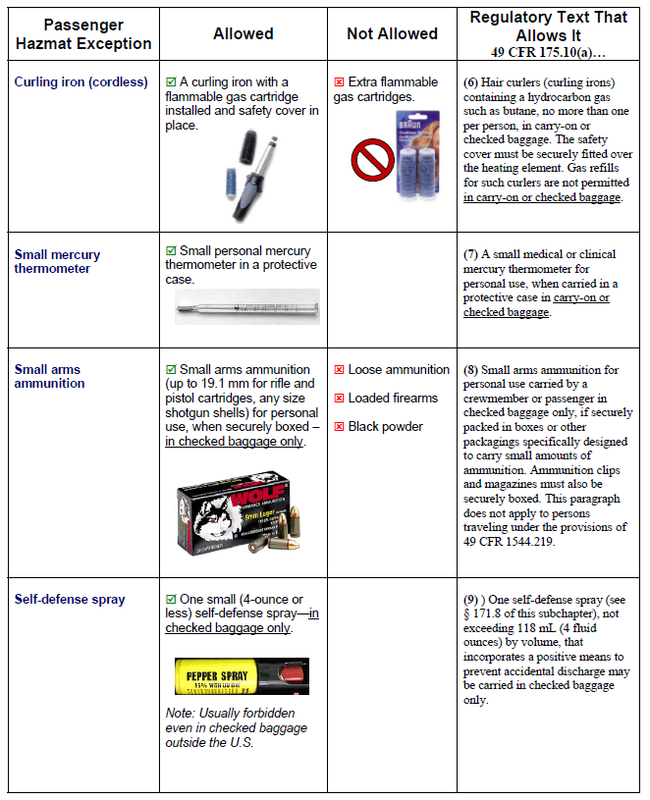 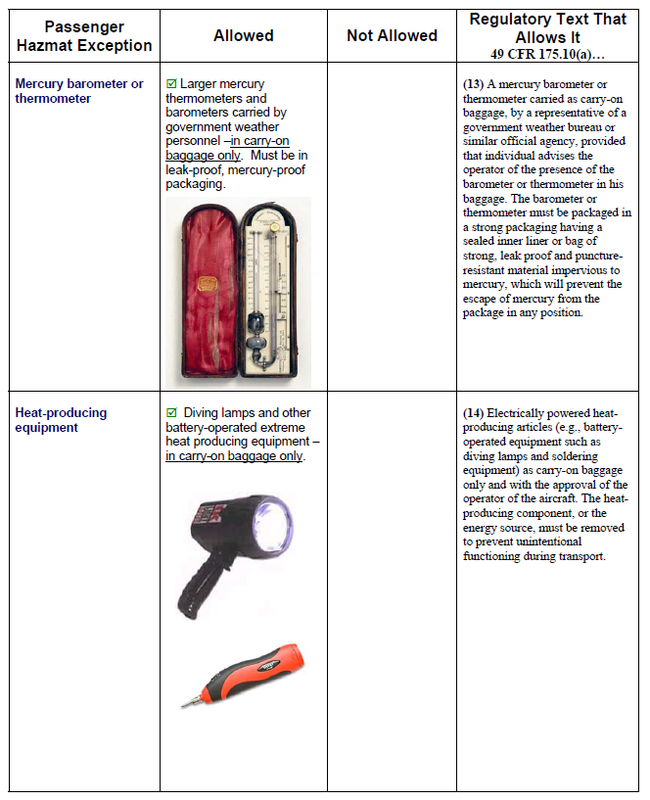 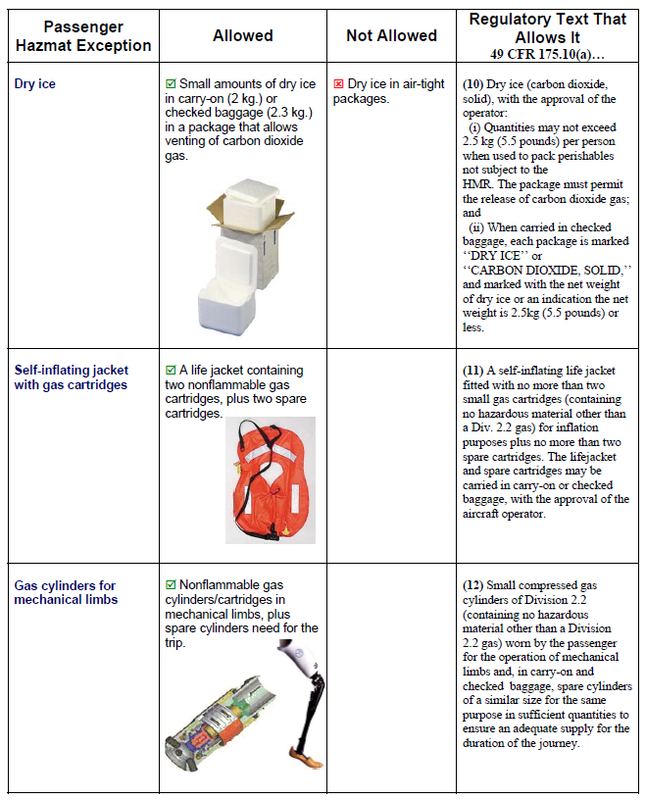 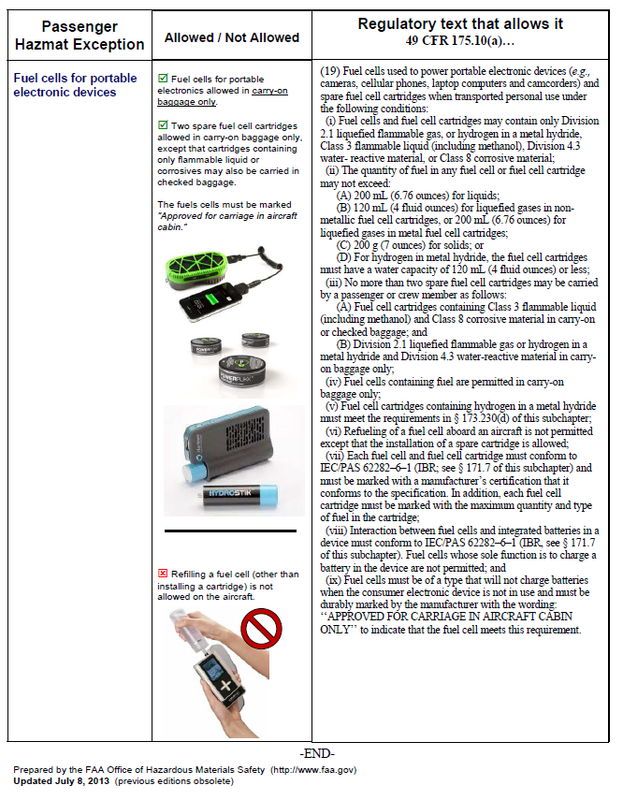 Though allowable by DOT regulations (see 49 CFR, section 175.10), some of the items listed here may, at times, be prohibited/limited in the aircraft cabin by Transportation Security Administration (TSA) rules (see http://www.tsa.gov). 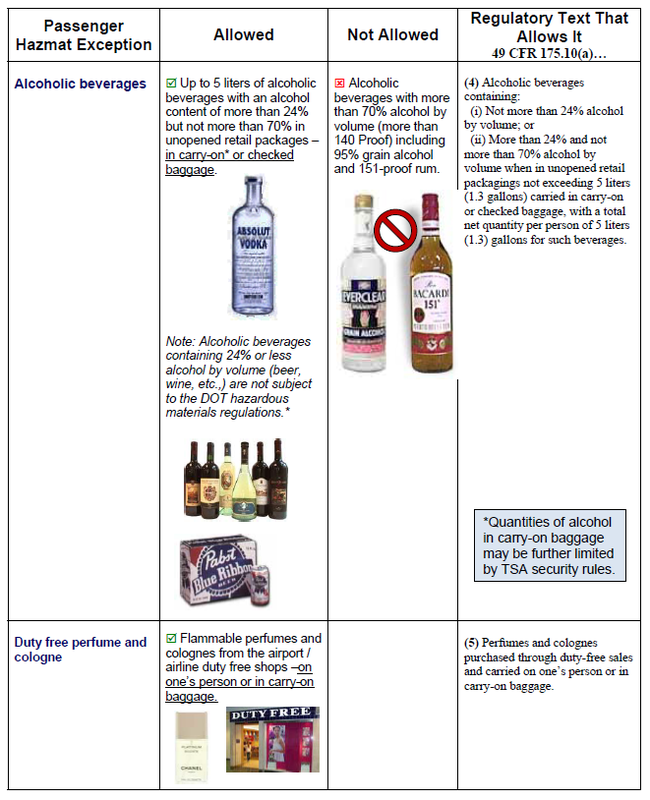 Individual airlines and other nations may also have more restrictive rules on what passengers can carry aboard the aircraft.